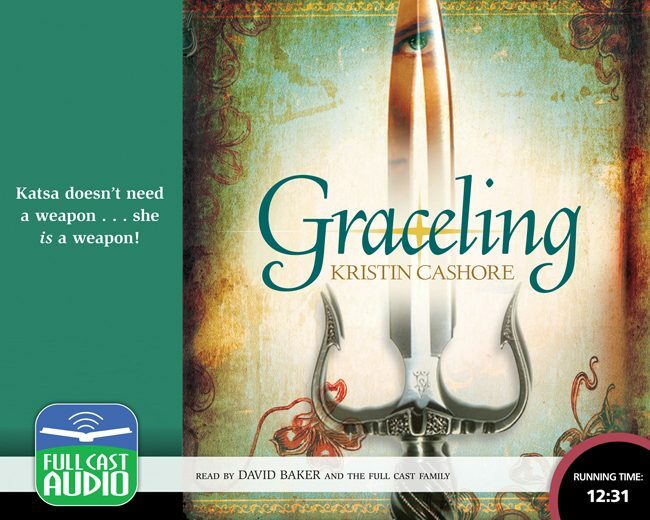 Set in a world where some people are born with a Grace – a unique, sometimes uncanny, gift – this is the story of Katsa, whose Grace, demonstrated at an uncomfortably early age, is for killing. This makes her a perfect tool for her uncle, King Randa. But Katsa chafes at the way she is being used – and even more at the injustices she sees around her. Then she meets Prince Po, who has a Grace to match hers… perhaps. Featuring FCA favorite Chelsea Mixon as Katsa, and sensational newcomer Zachary Exton as Prince Po, the most fascinating and praised fantasy debut of 2008 now springs to life in a sensational full-cast recording.